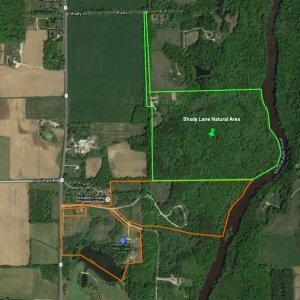 The natural area is part of a 62.5-acre property south of Shady Lane in the Town of Fredonia acquired by Ozaukee County in a tax foreclosure more than 10 years ago. It is located immediately north of Hawthorne Hills and includes more than 1,600 feet of frontage on the west bank of the river. 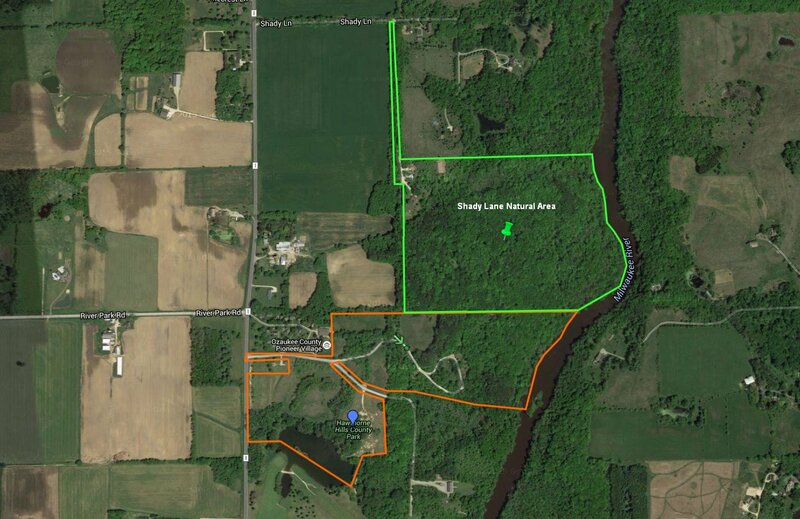 The property is a natural area of regional significance because of the variety of plants - 75 species of trees, shrubs and wildflowers - and limited disturbance of the woods, according to Don Reed, chief biologist at the Southeastern Wisconsin Regional Planning Commission. The forest canopy is dominated by large sugar maple, beech, red oak and basswood. "There is a rich set of spring wildflowers: white trillium, trout lily, jack-in-the-pulpit, wood anemone, bloodroot and buttercups," Reed said. An uncommon flower blossoming here is goldenseal, a buttercup. Indian pipe, also known as ghost plant because it lacks chlorophyll, grows here.